FRIDAY, Feb. 20, 2015 (HealthDay News) -- The mosquito-borne chikungunya virus causes joint pain and swelling similar to rheumatoid arthritis, which can make diagnosis difficult, a new study says. Chikungunya has spread in parts of the Caribbean and Central and South America. Though still rare, the virus is increasingly being seen in the United States, according to the researchers. Adding to the potential confusion in making a diagnosis, the researchers also found that blood tests of patients with chikungunya can have similar results to people with rheumatoid arthritis. In many people, chikungunya infection causes fever, rash, and joint pain in the hands, feet, knees, neck and elbows. The fever and rash typically ease in seven to 10 days. But joint pain lasts for 12 to 15 months in up to 60 percent of patients. In some patients, joint pain lasts for up to three years, according to the researchers. The study included 10 St. Louis-area residents who were infected with the chikungunya virus during a 2014 trip to Haiti. They were evaluated seven to 10 weeks after symptoms began and compared with people who had rheumatoid arthritis. Eight of these patients developed persistent arthritis, according to the researchers at Washington University School of Medicine in St. Louis. "All eight patients with chikungunya-related arthritis met the American College of Rheumatology's criteria for a diagnosis of rheumatoid arthritis," said the study's lead author, Dr. Jonathan Miner, in a university news release. 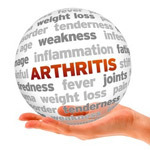 The study was published recently in Arthritis and Rheumatology. The chikungunya virus was first identified 60 years ago in Africa and has since spread to other parts of the world. According to the U.S. Centers for Disease Control and Prevention, more than 2,000 people in the United States were diagnosed with chikungunya infection in 2014 after traveling to other countries, mostly the Caribbean. That same year, the CDC reported 11 cases of chikungunya among people living in Florida who had not traveled outside of the country, suggesting that mosquitoes in the state were spreading the virus. The findings about the similarities between patients with chikungunya infection and rheumatoid arthritis show the need for doctors to get detailed travel and medical histories from patients, the researchers noted. "For now, good travel histories of patients are among the best diagnostic tools for physicians," study senior author Dr. Wayne Yokoyama, a professor of medicine at the university, said in the news release. "Recent travel to the Caribbean, Central and South America, Africa, India or other areas where the virus is prevalent should raise suspicions of chikungunya infection. In addition, the disease typically starts with high fever and abrupt onset of severe pain in the joints, which are not usually seen with rheumatoid arthritis," he explained.